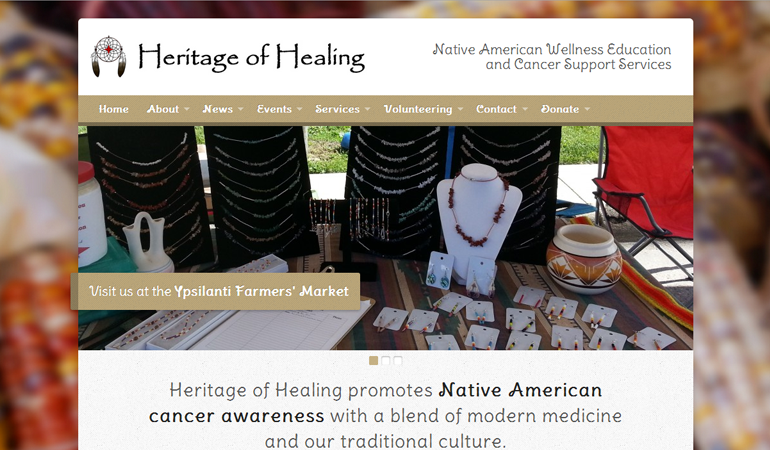 Heritage of Healing is a blending of modern healing with our traditional culture. In 2006, the founders became aware of the absence of support for children who have a family member with cancer when a mother of two young children was diagnosed with Multiple Myeloma. This became the impetus for Heritage of Healing. We have become increasingly aware that American Indians with cancer are often not diagnosed in a timely manner, and healthcare facilities for them are often not equipped to identify this disease. Additionally, the cancer rates in some Native communities are higher due to the effects of mining, nuclear facilities that leak radiation, and other environmental events that have occurred on Native lands, where regulation is more lax than in other areas. The report issued by the National Cancer Institute in the Fall of 2007 noted that deaths from cancers are down all across the country for all segments of the population except Native Americans. This has led us to begin Heritage of Healing, dedicated to cancer awareness and relief for Native American children in families experiencing cancer and other serious and chronic diseases. To increase awareness, especially among our youth, of healthy lifestyle choices that can help reduce the risk of cancer, diabetes, and other chronic diseases. To build a sense of community, and to provide solace and comfort through gathering. To help families experiencing cancer retain a sense of normalcy through the Heritage of Healing Relief Program, dedicated to providing some of the normal day-to-day things that are hard to maintain when undergoing treatment, such as new school clothes, winter coats, trips to movies, summer camps, etc. To establish homes near major hospitals in the US where families can stay while receiving treatment, as Native families are often too far from hospitals to receive regular treatment.